Identive has launched a web-based platform that allows consumers and businesses to easily deploy and manage NFC tag applications. 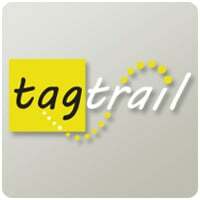 The TagTrail mobile services platform, announced this week at Wima in San Francisco, allows users to deliver dynamic and personalized content to mobile devices via NFC and QR codes. “Commercial availability of Tagtrail now lets organizations of any size design, launch and dynamically manage mobile advertising or information campaigns, using NFC and QR code technology to deliver personalized content into consumers’ mobile devices,” says Identive VP David Holmes. Campaign administrators can order pre-printed or customized NFC tags from the Tagtrail website, then assign desired content and services to each tag using the subscription-based service’s web-based administration console. This also allows them to program tags with multiple variations of content so that each person who taps a tag can receive personalized information or services. Once tags are in place, real-time feedback from every tag read allows campaign owners to analyze customer uptake and preferences and tune their messaging accordingly. The Tagtrail service can accommodate any number of tags and users, says Identive, and web APIs allow developers to tap into its core tag event handling engine to create further applications and services. Consumers can also use Tagtrail at home to automate digital tasks such as WiFi pairing, and an optional mobile app can further simplify content delivery by eliminating the need to take additional manual steps such as opening the phone’s camera. A free subscription offers entry-level users and developers up to 100 taps monthly, with further plans offering more taps and increasingly detailed reporting at US$49 and $149 per month.